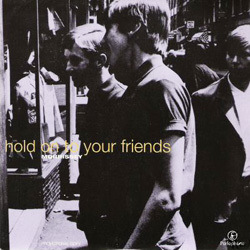 7" single 12" single cassette-single UK cd-single Holland cd-single Australia cd-single inside gatefold 12" single 7" single back 12" single back cassette-single insert panel UK cd-single back UK promo cd UK promo 7"
The UK 7" and 12" are limited and numbered. 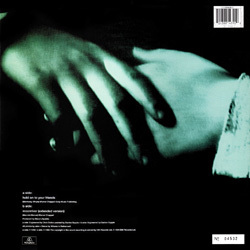 The 12" has a gatefold sleeve. 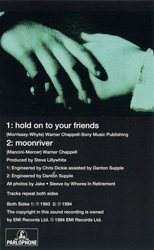 The cd-single included in the "Morrissey CD-singles 91-95" box set features both versions of "Moonriver" along with the title track, and is gatefold, just like the 12" single was. 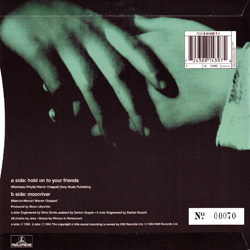 The sleeve for the Australian cd-single also states 'Made In Holland' but that is because the label used the same printing screen layout as Holland. The Australian card sleeve is actually slightly bigger than its Dutch counterpart. The cd itself has the DATA logo (Digital Audio Technologies Australia) near the spindle. 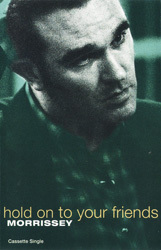 Morrissey, photographed by Jake Walters. The back photo (view left) was also taken by Jake. 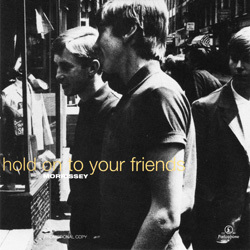 The UK promo photo was lifted from a British book of photography chronicling the original Mod movement. 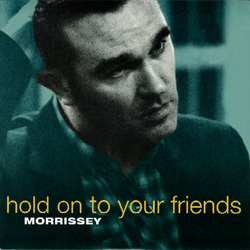 UK: This single was promoted in the UK with the help of a specially designed promo featuring unique artwork (view left). It was pressed in two formats: 7" (RDJ6383) and cd (CDRDJ6385). 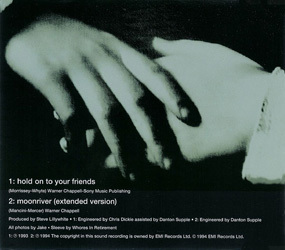 The version of "Moonriver" on both formats is the short one. 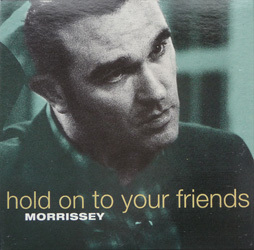 Some copies of the cd variation have two promo stickers on the sleeve, one giving the contact information for specific Parlophone pluggers, and the other giving information on the single. "Hold On To Your Friends" was included on volume #54 of the "Tip Sheet" instore sampler series, alongside material by 15 other artists. 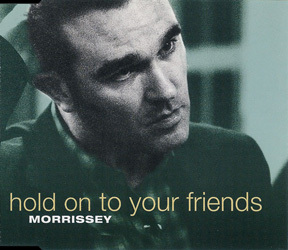 Australia: The existence of stock copies of the Australian cd-single with promo stickers on the back has been reported, but it is not known whether or not these were officially sanctioned by EMI Australia. Sweden: The extended version of "Moonriver" was included on an untitled various artists radio sampler cd (PCD23) put together by EMI Svenska. 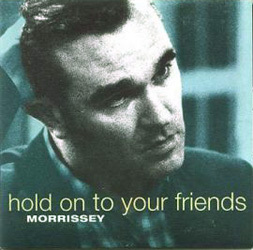 In a 1995 interview given to Les Inrockuptibles, Morrissey said "Last year I was quite hurt by the commercial failure of 'Hold on to Your Friends', probably one of my best singles. 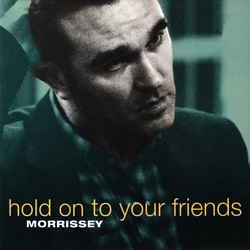 The song charted only 47th on sales, which has been a terrible shock for me."